I’ve spent the last few weeks testing some trail shoes for an article in next month’s August Man mag, but also feeling distinctly lacklustre with the post-UTMB void and my DNF at the TNF100. So when Salomon offered me an entry to the Salomon X-Trail Run, I accepted in the hopes that it would help shake things up a little. 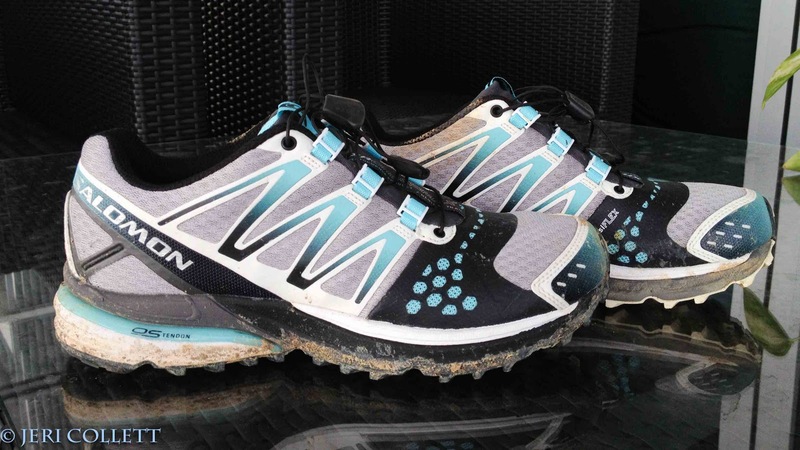 Oh, and a great opportunity to test the Salomon Crossmax on a new trail. Salomon Crossmax Neutral .. about to get even muddier! 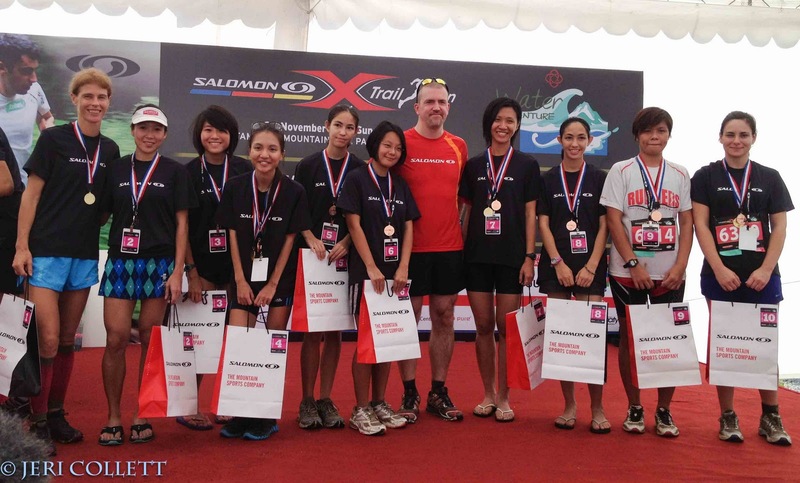 The event had a 10km competitive category as well as a 5km fun run. 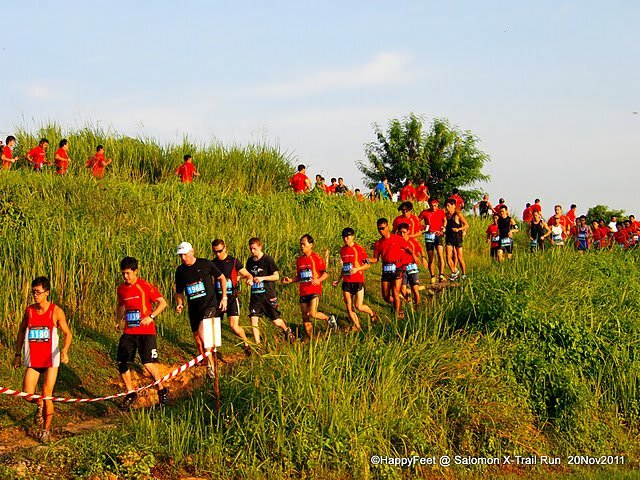 It was held at the Tampines Mountain Bike Park & Trail, and is not normally open to runners, only mountain-bikers. Having never run this trail before, I was definitely excited about the prospect of a new trail! 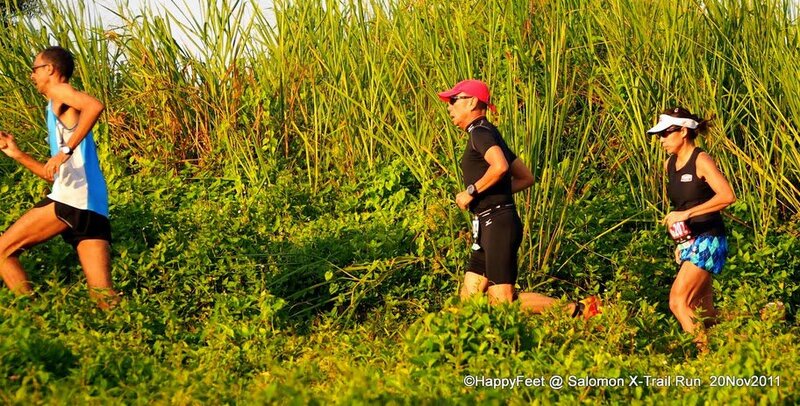 Salomon claimed this is the only 100% trail race in Singapore … even better! The atmosphere was pretty lively from the start, with an emcee and some decent tunes blasting out. The lead and sweep mountain bike teams were poised for action and the crowds began to gather at the start. According to the organisers, there were approximately 2500 runners there. The race kicked off at 7.30am for the Men’s 10km, with the 10km event for Women, Men’s and Women’s veteran categories starting at 7.35am. The men take off at a good pace, with some very speedy contenders at the pointy end of the field. Before long, there’s a snaking trail of runners on the trail next to the start .. and I’m wondering how much of a bottle-neck there will be on the single-track sections. Having never seen the course before, I have no idea what to expect. The second start is flagged off and I try to stay in front so as not to get caught in the fray later on. We’re straight onto the trail and it’s muddy from the start. We catch up to the tail end of the men’s group quite quickly, and it’s all about choosing your racing line. The trail starts to get muddy and wet, and some runners slow down to avoid getting too dirty. I think most soon realised that this was par for the course and got into the spirit of things eventually. 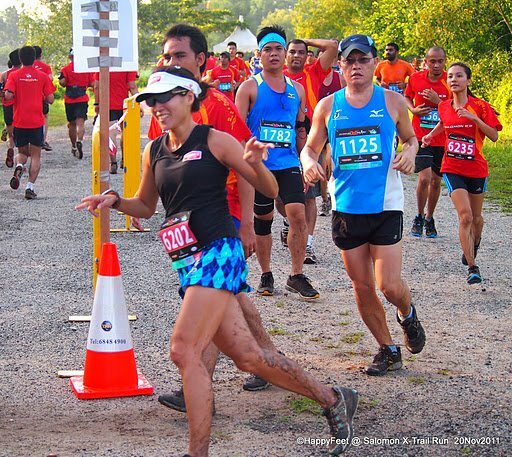 Due to the number of runners on a mostly single-track course, most of my efforts were concentrated on dodging other runners, rocks, branches and other obstacles. I realised I spent the first 5km mistakenly yelling “On your left!” when I meant “right”, so my sincere apologies if I confused anyone! Directions are not my strong point! 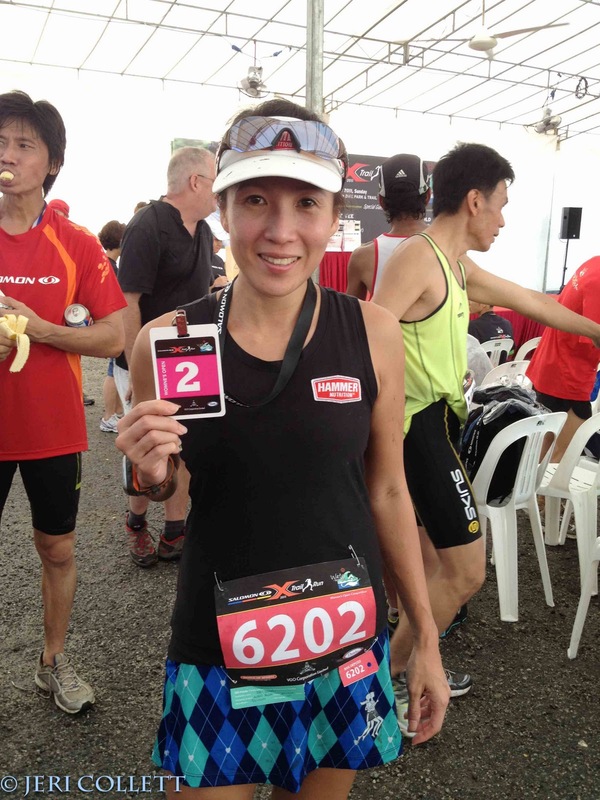 I really had a blast running through the mud and stream crossings, and the Salomon Crossmax I wore certainly gave me the confidence to pass runners even on the sketchy bits. Although it was just a 10k, the blazing sun was out in full force and I was certainly grateful for the small respite offered at two water stations along the way. The undulating course was definitely more challenging and far more enjoyable than a road race .. and a whole lot messier too! The marshalls along the course were enthusiastic and encouraging, cheering the runners on whilst shouting out warnings about steep slopes or other obstacles ahead. At the finish line, there’s runners coming in covered in mud and grit, with big grins on their faces. Managed to pass a couple of ladies in the last 3kms and finished with a 2nd place in the Women’s Open. I’ve got mud everywhere … my shower later even dislodges some mud and grass from my ear! I also find scratches on my neck and a massive bruise on my left calf once I’ve cleaned up .. wonder where I got those?! There’s a lot of 2’s in this pic! Time to buy some new Salomons! The organisers (VGO Corp and PA Water-Venture) kept things simple with water, 100Plus and bananas on offer for finishers. No complaints there. There were also ample portaloos and an organised bag deposit facility. I think I heard the emcee promoting the post-race massage service, but I didn’t look into it. There was a snaking queue for the tap as well .. all that mud had to be washed off somehow! All in all, great fun for a morning run, and I hope it’s converted a few more ‘”roadies” to the joys of trail running. Your splits aren’t going to be as quick, but there’s a lot more fun to be had. 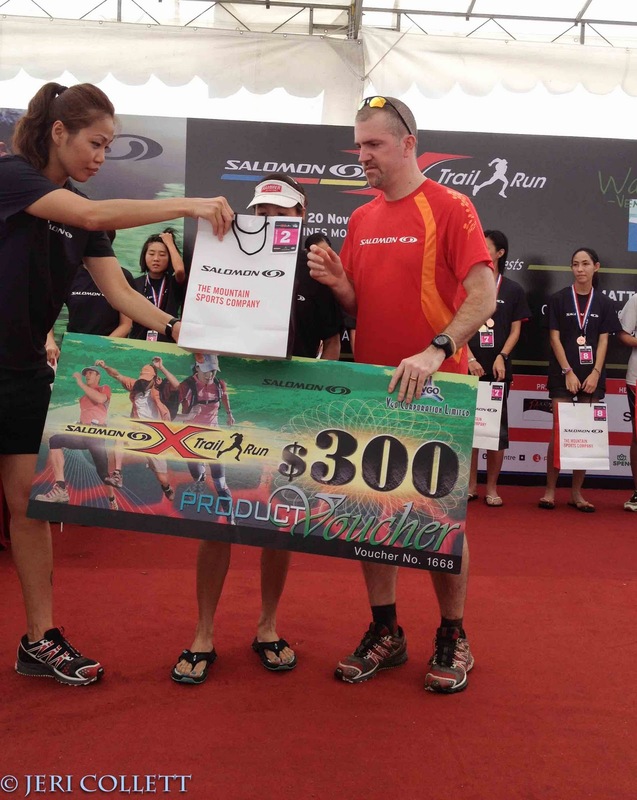 I’m looking forward to the next event from Salomon! My review on the Crossmax also coming up soon. I’m feeling a little more motivated now, just as well with the Standard Chartered Singapore Marathon to run next weekend! 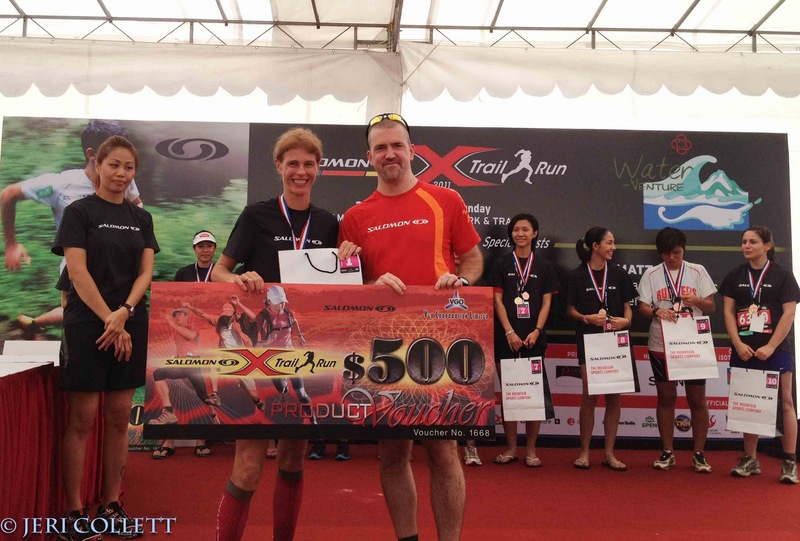 Full results can be found here, and the race report by Run Society is worth a read too. Jeri, very well done clinching 2nd spot. 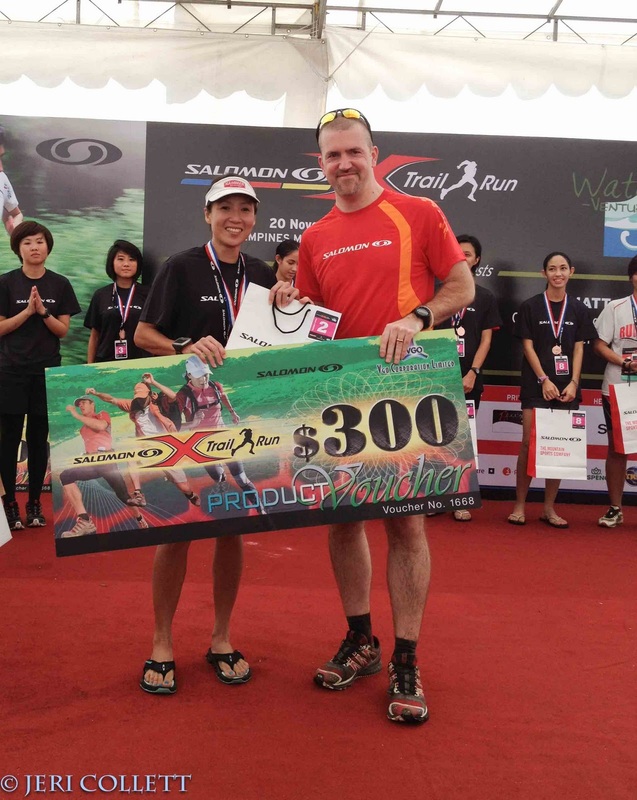 Sounds like it was a great event, nice to have a proper trail for the full distance. Amazed by the huge turnout. congrats on the 2nd place win !! You blasted past me around 2km out. Great run. And great report too. Couldn't have summarised it better…. A really enjoyable and well organised event. Wish there were more offroad events / trails to splash around on.